What is it about irony that anti-liberal Conservatives don’t understand? 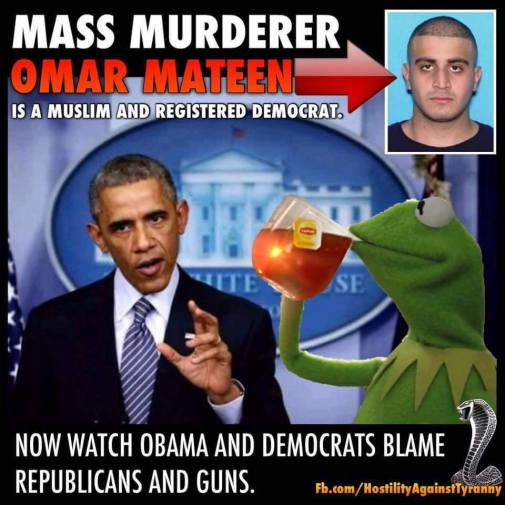 This meme claims Obama and Democrats want to blame Republicans and guns after every shooting. But in reality ( and here’s where the irony is blatantly apparent ) who do Conservatives blame after every shooting? That’s right. They blame liberals , Democrats , and Obama. It doesn’t matter if the shooter is a Muslim , or a white supremacist like Dylan Roof. It’s all Obama’s fault because he wants to take their guns away. Liberals can see the hypocrisy ; it’s completely lost on liberal-hating Conservatives.